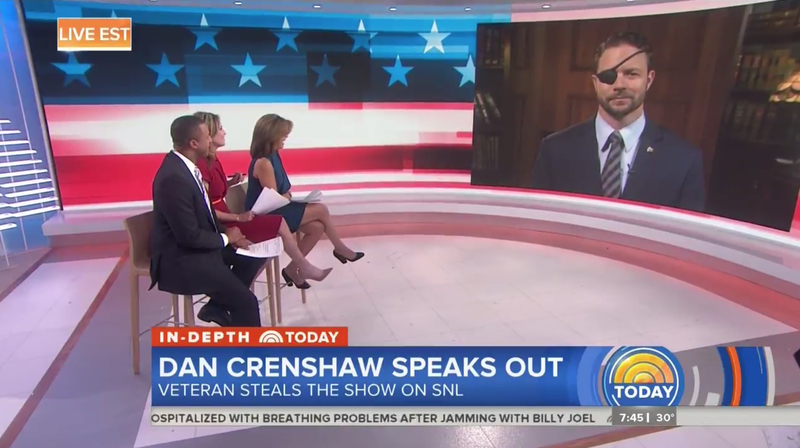 During a live “Today” interview with Representative-elect Dan Crenshaw about his surprise appearance to accept an apology from its network own “Saturday Night Live,” the broadcast used its large video wall to create a patriotic setup that let all three anchor participate in the remove interview. 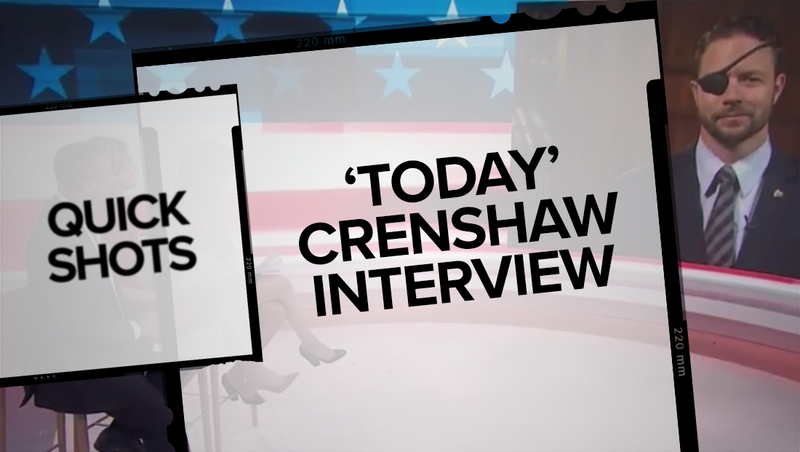 A live image of the Crenshaw was fed to the far right of the video wall, while a linear, layered red, white and blue stars and stripes background spanned the rest of the 40 feet of the LED video wall. 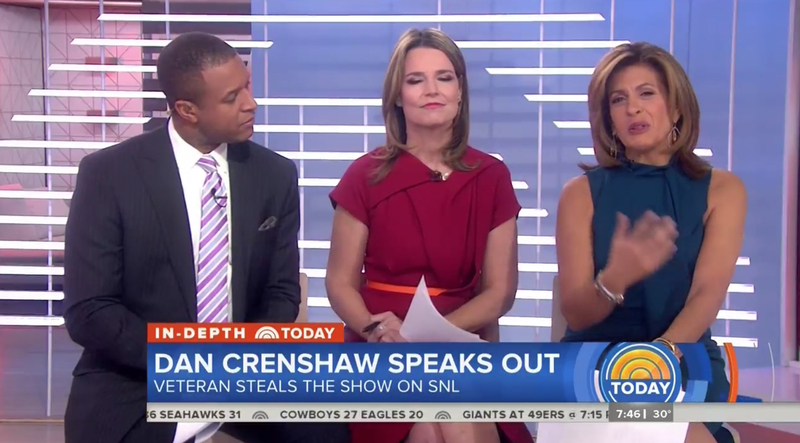 Main co-anchors Savannah Guthrie and Hoda Kotb, plus third ‘quasi-anchor’ Craig Melvin were all framed seated on stools in front of the show’s lighted logo sculpture, which was set to white to accent the blue and red lighting fed to the walls and foot under the curved video wall.